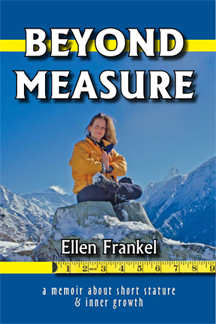 "If you have ever measured your height or weight and felt good or bad about yourself as a result, you need this book. In its pages, Ellen Frankel makes an important contribution to human liberation by telling the most fabulous story that can be told, the story of a person coming fully into her own. This book is thought-provoking, heart-rending, and a genuine solace for people of all sizes."